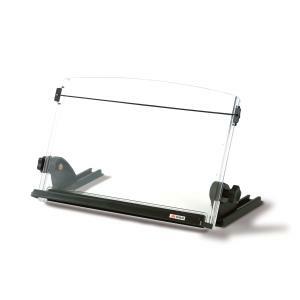 In-line document holder for desktops and laptops. Keeps documents between monitor & keyboard to help reduce head, neck & eye movement. Wide, transparent backplate supports wide & heavy documents. Skid-free base. Angle & height adjustable.